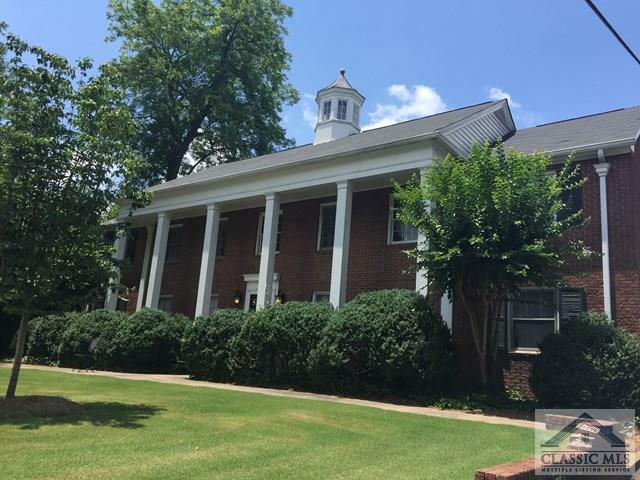 The Columns on Milledge is an apartment complex consisting of (20) 2 bed/1 bath units, totaling 40 bedrooms. It is settled in the center of Greek Row on Milledge Ave between UGA's sororities and fraternities. It is pedestrian to UGA's campus and downtown Athens and is half a mile from Sanford Stadium and the Student Learning Center. It is also on the UGA transit Milledge Bus Route, a high priority for students at UGA. Apartments offer original hardwood floors throughout, with tile in kitchens and bathrooms. Modern glass showers and tiling in bathrooms. Parking included for all tenants. 17-18 gross rents at $16,560/mo at 100% occupancy. Sold 5.7% CAP rate. 480 Milledge Ave #20, Athens GA 30605 is a Apartment, with 40 bedrooms which is recently sold, it has 0 sqft, .51-1 sized lot, and 0 parking. A comparable Other, has bedrooms and 0 baths, it was built in and is located at and for sale by its owner at $ 0. This home is located in the city of , in zip code , this County Other, it is in the Subdivision, and Appleby Mews are nearby neighborhoods.